Looking for a dependable power companion for your beloved devices? Check out the list of the best powerbanks in the market right now. Powerbanks have became a necessity to mobile users. The more we have them in our pockets, the more powerful and productive we become. Not all mobile devices have long-lasting power under their belt, that is why powerbanks exist. Each user has their respective requirements when it comes to having their own powerbank. Of course, most of them ticks portability in their list. Performance is also a great deciding factor. There are lots of choices to choose from, these choices come with a balance of value and compromise. Here's the list of the best powerbanks of 2018, in no particular order. The VEGER VP1027 PD serves as the hero product of the company. It recently made a huge splash upon its entry here in the Philippines. The VP1027 PD is one of the fastest powerbanks that we have tested. It supports the Power Delivery and the Triple Charging Technology. On top of that, this 10,000-mAh power pack supports Qualcomm QuickCharge 3.0 which is very efficient in power management, and has wide operating temperature range. 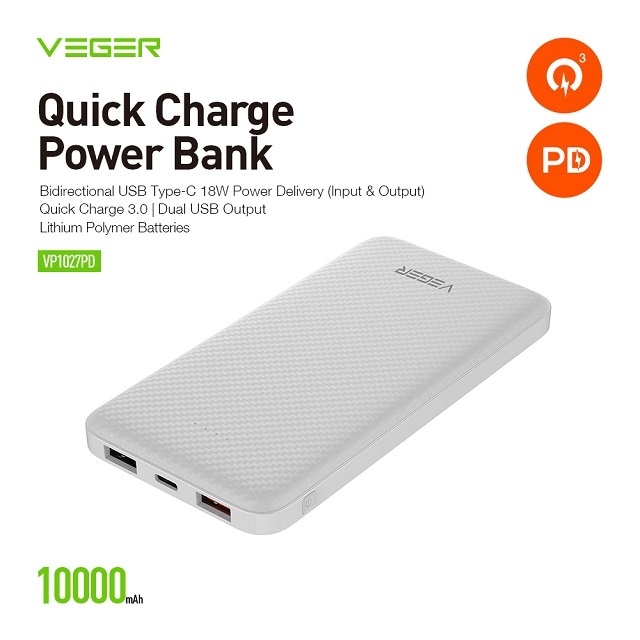 VEGER VP1027 PD is also one of the best looking powerbanks in the market. Its white variant sports a minimalist and clean design that you'll love to have in your bags and pockets. Moreover, it supports a wide range of devices including Macbooks, iPhone Xs, Android smartphones, compatible Windows Laptops, and more. It's priced practically at Php 1,599 and it's currently available in a clean white variant. 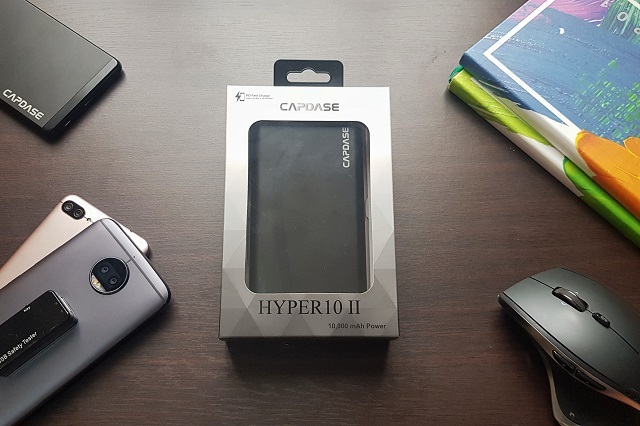 Case-maker Capdase opens a strong line of power products in their portfolio. The Hyper 10 is one of their bestselling series, and there's a number of good reasons for that. For one, the Hyper 10 II is portable enough to be pocket-friendly. It also aces other competitors in fast charging department with a flexible Type C In and Out port. This 10,000-mAh power pack is tagged by the company as a "premium power bank" due to its metallic construction and safety performance. But of course, it's on the expensive side with its Php 1980 price tag. iWalk Scorpion UBT800X is quite a special powerbank. For one, it has built-in cables for almost all connectors needed for your devices. To enumerate, the powerbank has USB Type A cable, USB Type C, Lightning Cables for Apple devices, and a Micro USB cable for most Android devices. Design-wise, the iWalk Scorpion UBT8000X looks pleasing in the eye. Its body is made of plastic which is highlighted by perforated checkered patterns which makes gripping this powerbank easy. This power bank is quite expensive with its Php 2,299 price tag. But if you hate dangling cables, this could be your thing. This 10,000-mAh powerbank is also one of the slimmest we've seen in the market. 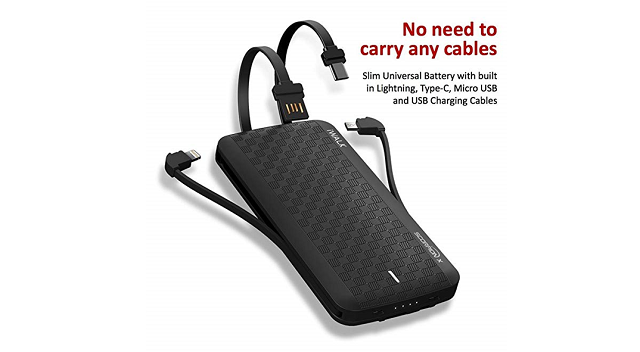 The company even tagged it as an "ultra slim" power bank. The Anker PowerCore II offers at least three full charges for flagship smartphones. Anker's performance and safety technology allow users to worry less about getting power drained on their devices while enjoying the super portability of the powerbank. 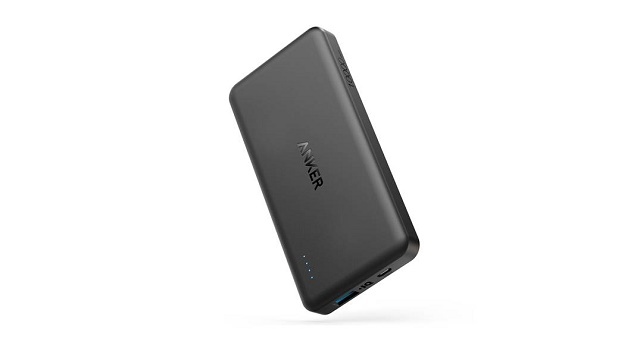 The Anker PowerCore II is priced at Php 2,595. Like any powerbanks ahead on this list, it's also a good investment to your growing number of devices. This metal-clad powerbank is very portable. It supports both micro USB and USB Type C devices. This means that it provides users a wider range of charging support for phones, notebooks, tablets, and more. It also offers unique low current charging for wearable devices. Xiaomi Mi Power Bank Pro employs what the company called "nine-circuit protection." It may not be the fastest power brick in the bunch but it's definitely one of the most visually appealing powerbanks out there. Choosing a powerbank could be a chore. Portability, Device Safety, Design, and Performance should always be the deciding factors in choosing the right one. In the end, it's always a good investment to have a dependable companion to all of your devices. If you're in the market for a value-for-money powerbank, you'll never go wrong if you purchase one of these 5 Best Powerbanks in the Philippines.